Looking for excitement in your magic? You found it! 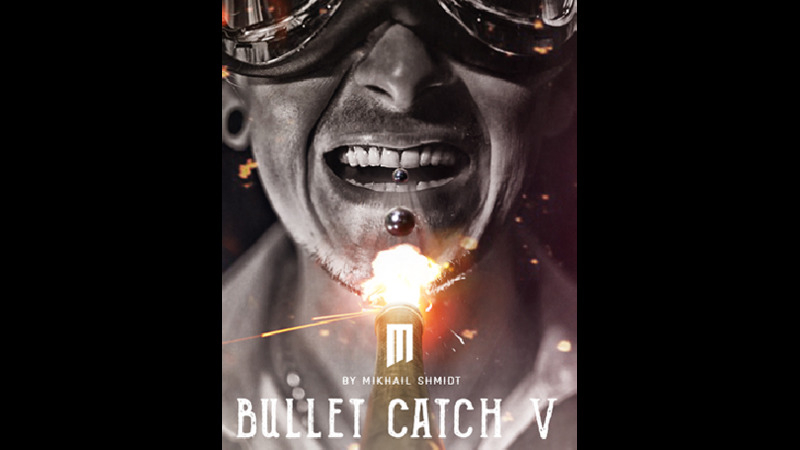 Produced by Mikhail Shmidt and Bond Lee, Bullet Catch V is one of the most dangerous tricks on Earth! Bullet catching is a classic trick with a fascinating history. Many have practiced this routine and spent years to master it. This is a close-up version of this trick, which minimizes your risk and practicing hours. 1. A bullet is loaded into the mini cannon. 2. The magician lights the wick and ignites the mechanism. 3. The bullet is fired, and the magician catches the bullet with his/her mouth. 4. The magician remains unharmed. Note: Fuse and flash product are not included.